Shows: Challenge of the Super Friends, Super Friends, Doom Patrol. 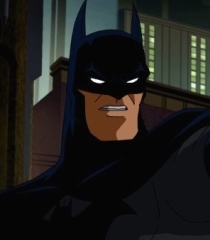 Movies: Justice League: Gods and Monsters, Justice League vs. the Fatal Five, Superman/Batman: Public Enemies. Games: Injustice: Gods Among Us, Infinite Crisis, Injustice 2. Shorts: DC Showcase: The Spectre, Doom Patrol, Sword Of The Atom.